Swift Black Substratum Theme makes more than 200 apps black with help of substratum theme engine. 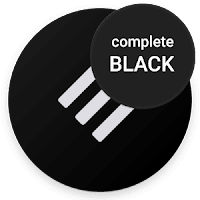 Swift Black supports Android Nougat, Oreo and Pie, AOSP and more. 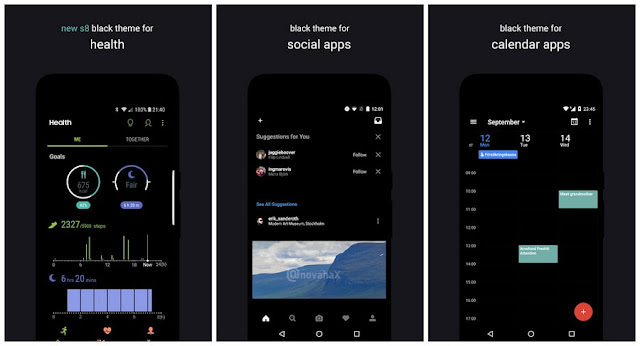 Make sure your system supports the use of a Substratum theme. See the supported list above. Root is not needed for Samsung, Andromeda (Pixel & Nexus) or OMS systems. Other systems needs root. If you need help please contact us on Telegram or by email and we will help you personally based on what system you are using. PLEASE do not report bugs in the review system as it's much easier for us to help you by chat or email. Make sure your system supports the use of a Substratum theme. See the supported list above. Open the theme inside the Substratum app and select your Android version in the menu at the top. Also select the apps you want to theme and hit install. If you use Andromeda or Samsung you will need an extra, paid, add-on which you’ll be notified about the first time you open the Substratum app.